Regardless of the convince of email, I will always be an advocate of snail mail. There is something magical about opening up your mail box, pulling out an envelope with a handwritten address, and anticipating what news is nestled inside. Nowadays, weddings seem to be the only event that gets society excited about choosing stamps, modern calligraphy, and envelope liners. I’m here to advocate the use of these design elements in every day correspondence. So refrain from sending your grandmother another happy birthday email and pull out a pen and piece of paper to create something memorable. 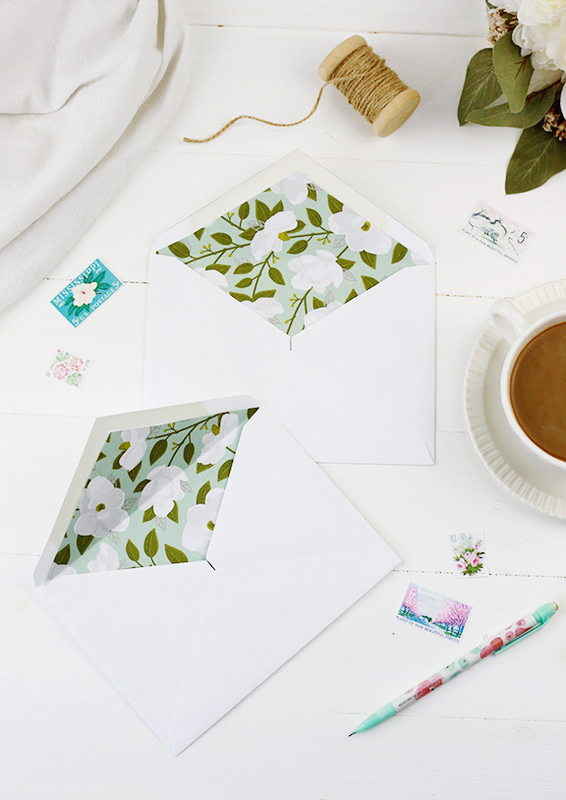 With this easy floral envelope liner tutorial you will be able to add the element of surprise to your snail mail. After your recipient opens their envelope they will be greeted with a pop of color – just the thing to brighten their day! 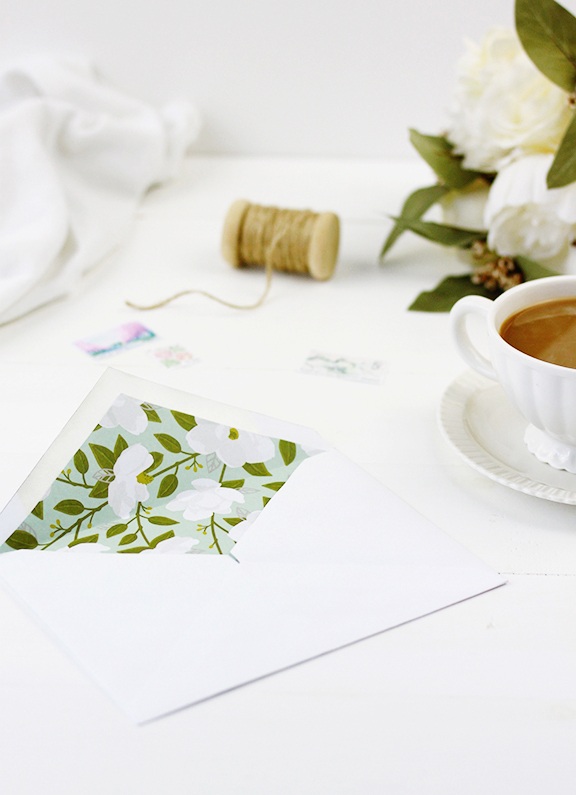 Envelope liners are a great way to add an air of elegance to your letter and make your recipient feel cherished. 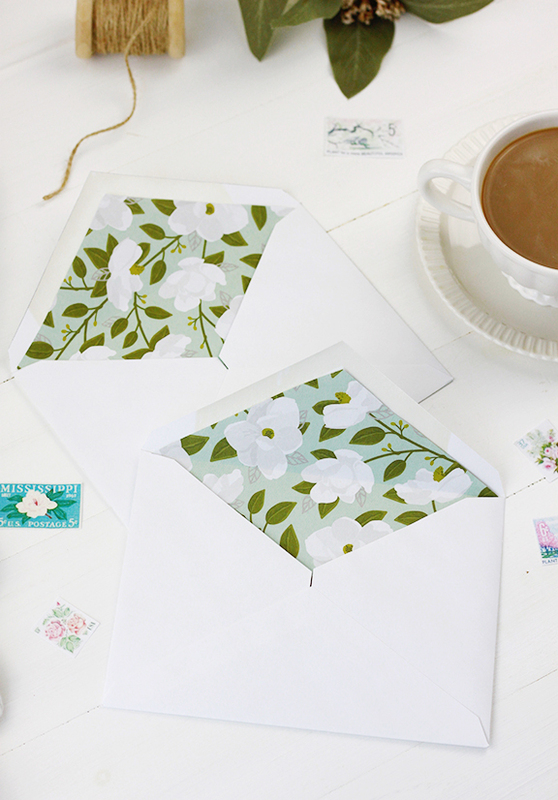 While you might think this is a time consuming DIY, you will be pleased to know these envelope liners can be made in under five minutes!